Medical experts advise parents to take their children to the dentist during their first birthday. 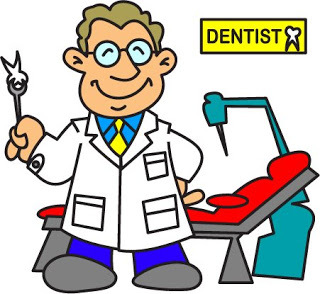 Contrary to popular belief, locating a good dentist is not about walking to the nearest dental health clinic. The following is a checklist that will help you pick the right dentist for your child. Bacteria turn sugar into acid which destroys the enamel of the tooth and causes decay. Sugar and acids in carbonated drinks combine resulting in tooth damage. While citrus juices and fruits are a rich source of nutrients and Vitamin C, lemon and grapefruit are acidic and are capable of eroding the tooth’s enamel. It is better to drink water and low-fat milk instead of juice. Candy is full of sugar that sticks in a child’s tooth crevices and causes cavities overtime. Dried fruits are also sticky and have lots of sugar. If your children indulge in sugary snacks and candy, ensure they brush their teeth after eating these foods. Starch from white flour is broken down to simple sugars that can cause tooth decay. Experts discourage people from eating chips, bread or pasta not only due to their poor nutritional value but also because the starch in these foods sticks to the teeth causing decay. Opt for foods made from whole wheat instead of white flour.